After my hair appointment on Saturday, I swung by the liquor store to pick up a couple of bottles. I knew I had to be quick because I needed to get home (again, for he who will not be discussed today!) and it was hailing/raining like crazy. And I think I had to pee. I think. I wound up selecting an old favorite and a new blend from an existing favorite! I couldn’t find this particular wine on their website (weird), but the bottle reads: The Great Red showcases the best of British Colombia by blending Merlot, Malbec, Cabernet Sauvignon, Cabernet Franc, Syrah, Petit Verdot, Mouvedre, and Gamay Noir. The grapes underwent traditional red wine making techniques and were partially aged for 10 months in American and French oak. The result is a smooth blend with flavors of jammy fruit, vanilla and cedar with a hint of floral and a nice even texture. I usually don’t buy blends like this because it feels to me more like a table wine and I don’t want to pay $$ for something that could be so generic. BUT- this one was good! It tasted both complex and smooth and was nice to enjoy with a snack plate…and on its own about 5 hours later when I finally got around to it. I recommend! This one is an oldie but a goodie. I love that this wine has somewhat of a sweet finish without being overly sweet. I prefer to drink this wine alone (but let’s be honest, I’m always eating, so it’s inevitably paired with something). I definitely recommend this wine- especially if you want to bring a bottle to a gathering. It’s a people pleaser! 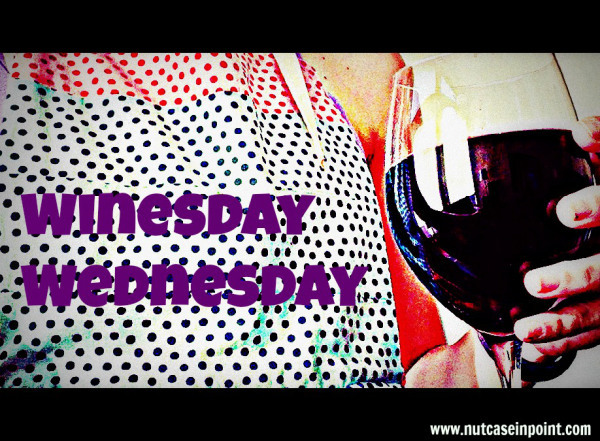 Hope you all have a fantastic Winesday Wednesday and don’t forget to tag me in social media so I can see what you’re drinking!! This week I am enjoying some 2.99 Trader Joe’s merlot!! Hashtag no shame. I should have submitted a photo – I actually partaken in some beer drinking as we had a little party for our now three year old. I had bought some ‘different’ types of beer aka not bud light for the party and it was not good…. boo. I can’t even remember the brand, i dropped it from my memory. oh man I wish you remembered what kind so I know to steer clear! I’m SO looking forward to having wine again after this baby is born!